I'm an artist & an ex-entertainer & digital artist. 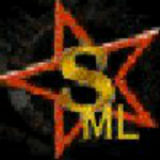 My Website: digiscrapcafe.com My personal website: sojournstar.com I've been in & out of the music industry over 40 years. Now I spend most of my time creating & selling art & building websites. I publish several hubs here & invite you to comment or contribute an article if you like! Let's Get Trendy!